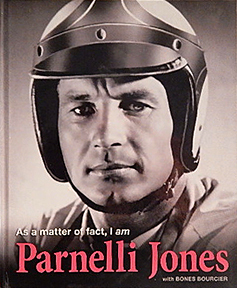 From jalopy racing to the Indy 500, Parnelli Jones drove into Victory Lane. He drove sprint cars, Trans-Am, Baja off road racing, and NASCAR. After retiring from driving, he formed a super team of drivers. A great read for anyone that loved the golden age of racing. Parnelli. First driver to break the 150 mph track record at Indy. He raced against Mario Andretti, Foyt, Bobby and Al Unser, Rutherford, Hurtubise, Branson and other drivers of the era too many to mention.